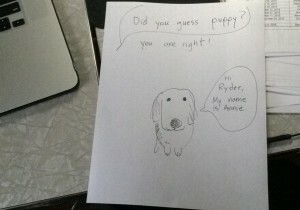 Annie, the dog, has been writing to Ryder. Ryder is one year, seven months, and four days old. He has AML, Acute Myeloid Leukemia. He was born on December 25th, 2013. 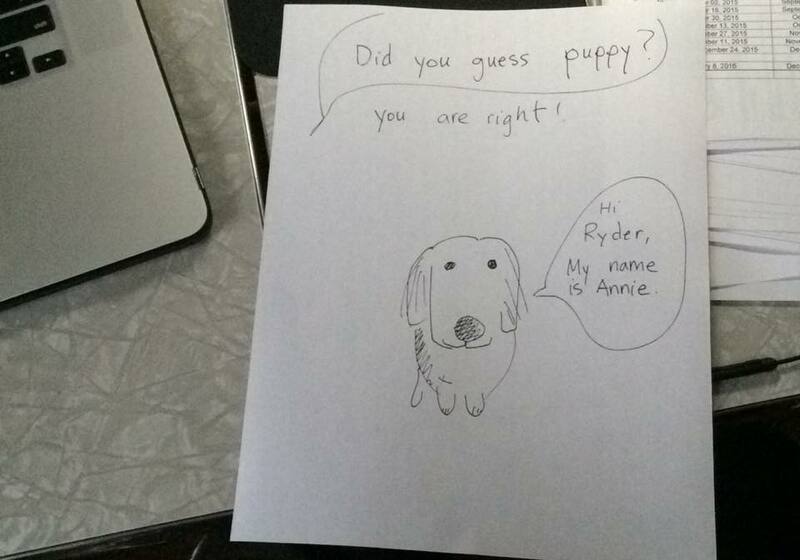 Ryder the Fighter drew a picture for Annie and mailed it back to her. Well, Annie dictated her letter to Mrs. Hodges and Mrs. Hodges printed it. Ryder is staying at Texas Children’s Hospital in Houston. 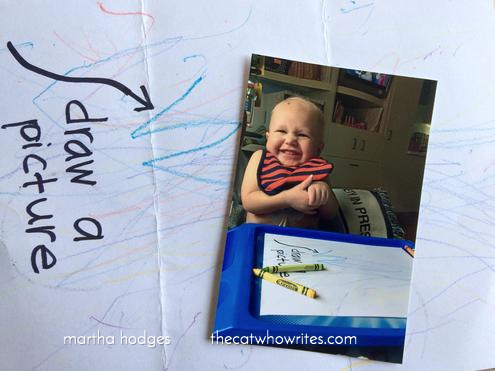 His mommy said his new chemotherapy is ten times as strong as the old medicine. “His first night back was pretty rough.” She wrote on Ryder the Fighter’s Facebook page this Bible verse. Will you please pray for Ryder and his mommy and daddy, Kayla and Nathan? And maybe send them a card? 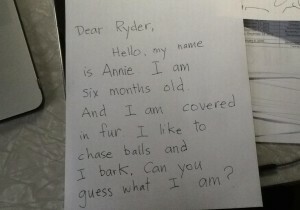 This is Annie’s letter to Ryder. Ryder likes cats and dogs. Edelweiss? Nana? Skittles? Oscar? Angela? 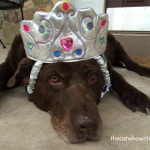 Makayla the Empress? William the Orange? Joel Gray? 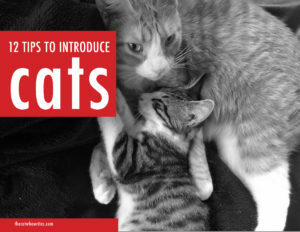 Giblet the Paws? 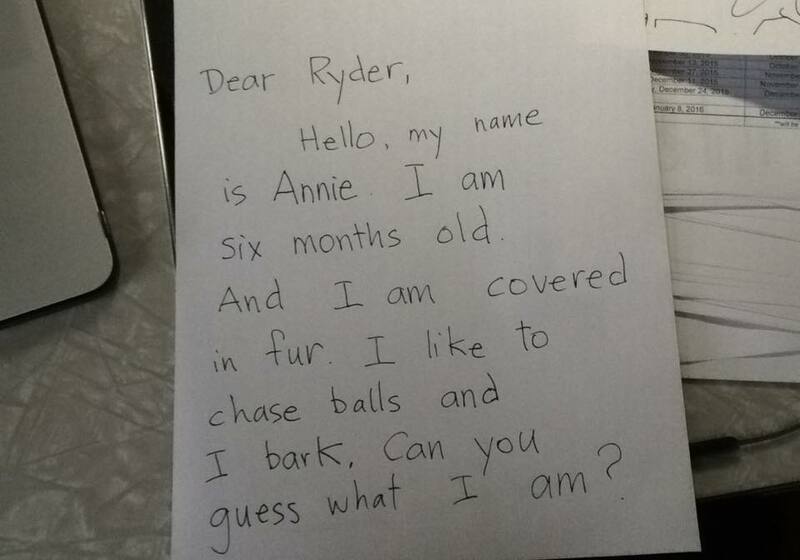 and any other cats and dogs, would you consider writing to Ryder the Fighter? 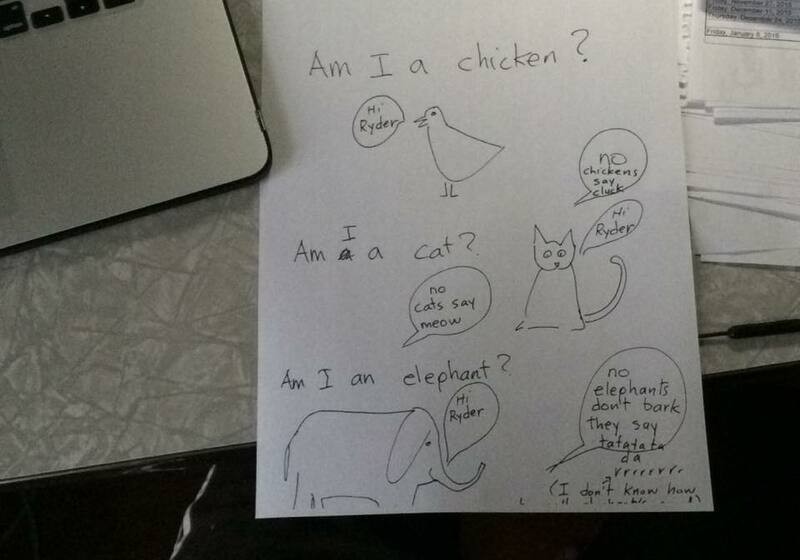 If you are a human, please send Ryder a card too. 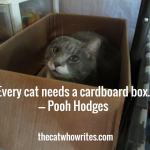 And if you are not a human please ask someone to help you send a card. Medicine is really expensive. Maybe you can help out the family. 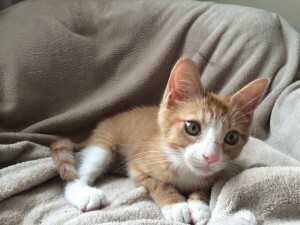 Ryder The Fighter is on Go Fund Me. Poor little guy. I just want to sit down beside him and keep him company. But, it would take a long time to walk to Texas. I don’t know how to drive a car. 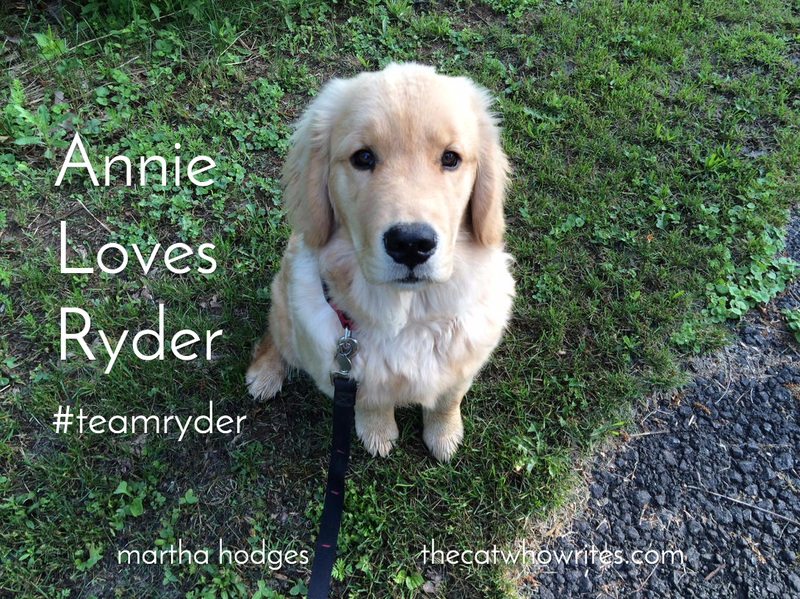 Will you be on Ryder’s Team with me and Annie? #teamryder. Please let me know in the comments. I always like to talk to humans and cat and dogs. And to my Nana. 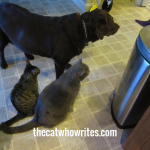 ←Wow, they finally let me out of the bathroom, and I met Martha, the dog. 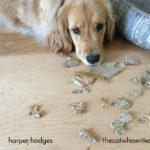 Martha, a dog, was Pooh Hodges' bodyguard. 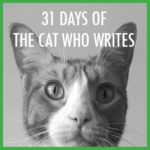 Martha will be writing on the blog. 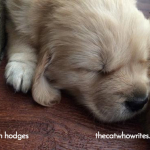 Yes, a dog on a cats blog, until Mrs. Hodges finds another kitten who wants to be a writer.